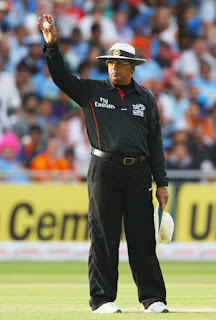 Following are the umpires who will officiate the matches in the Cricket World Cup 2011 , which is to be jointly held by India, Bangladesh, and Sri Lanka. 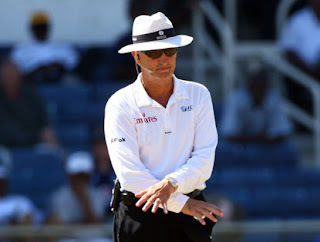 Brent Fraser "Billy" Bowden is an international cricket umpire from New Zealand. He was born on 11 April, 1963 in Henderson, New Zealand. He has officiated in two ICC CWC events and was the reserve umpire in the final of both the ICC CWC 2007 and the ICC World T20 2007. 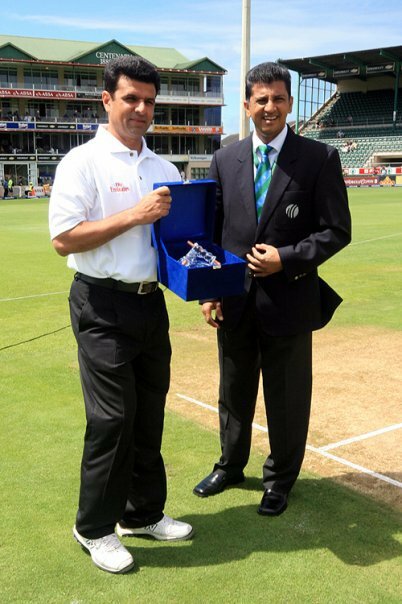 In 2007, he was presented with the ICC Bronze Bails Award, for the distinction of having officiated in 100 ODIs. He is well known for his dramatic signaling style which includes "crooked finger of doom" Out Signal. Aleem Sarwar Dar is a retired Pakistani first-class cricketer. He was born on June 6, 1968 in Jhang, Punjab, Pakistan. He made his international umpiring debut in an ODI, aged 31, at Gujranwala in 2000. 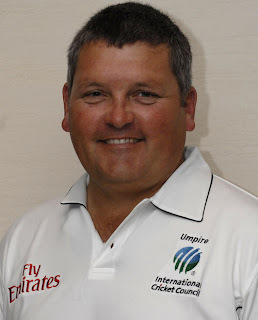 Umpired in the ICC CWC 2003 and 2007 events, he is the first Pakistan umpire to be part of the Emirates ICC Elite Panel. 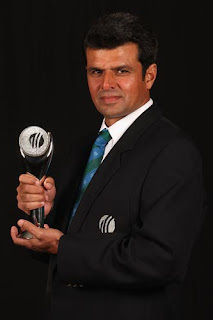 Dar has won the LG ICC Umpire of the Year award twice in a row: 2009 and 2010. Simon James Arthur Taufel is an Australian cricket umpire who is a member of the ICC Elite umpire panel. He was born on 21 January 1971 in St Leonards, New South Wales. 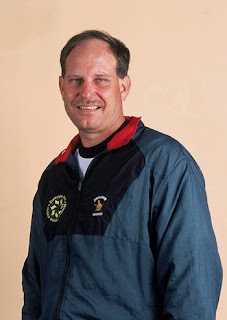 He won five consecutive ICC Umpire of the Year awards between 2004 and 2008, and is generally considered to be one of the best umpires in the world. He has the record of being the youngest umpire to officiate in 100 ODIs. 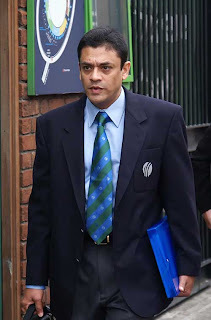 He has been a member of the ICC Cricket Committee since 2006. 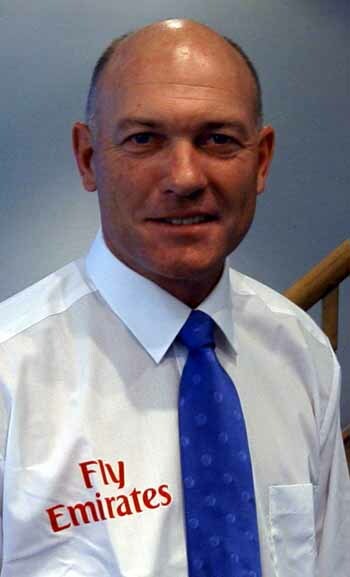 Billy Raymond Doctrove is a former international football referee, but is best known as an international cricket umpire. 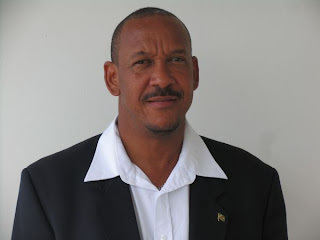 He was born on 3 July 1955 in Marigot, Dominica, Windward Islands. He was elevated to the ICC's Emirates International Panel of Umpires in 2004 and the Emirates Elite Panel of Umpires in April 2006. He officiated in eight games at ICC CWC 2007 in his native West Indies. 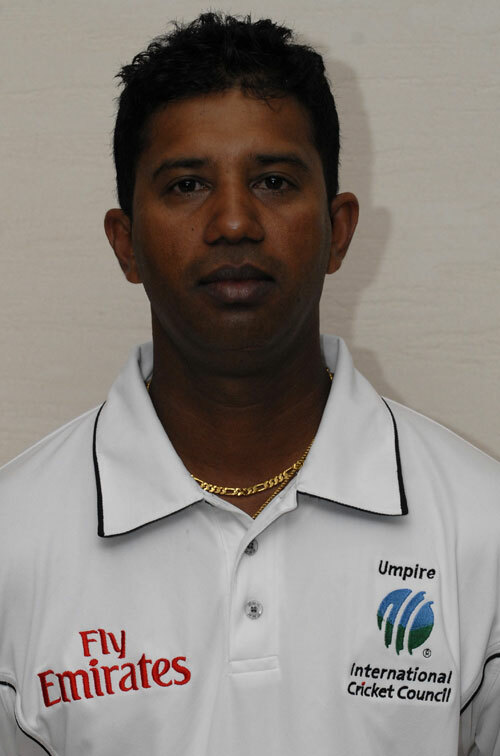 He is only the second West Indies umpire to have officiated in over 100 ODIs. 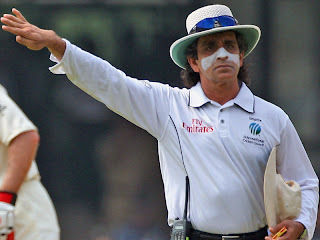 Asad Rauf was a first class cricketer and is now a member of the Emirates ICC Elite Umpire Panel. He was born on 12 May 1956 in Lahore, Punjab, Pakistan. He played first-class cricket between 1977 and 1990 in Pakistan. 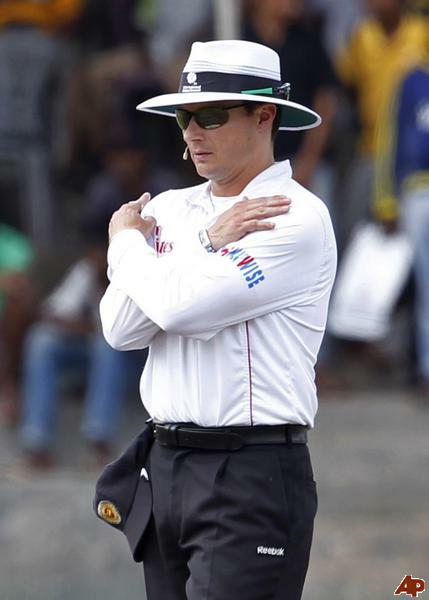 He was inducted into the ICC's Emirates International Panel of Umpires in 2004. 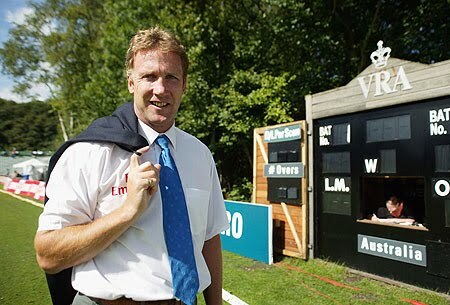 He was appointed to the ICC Emirates Elite Panel of ICC Umpires in 2006. He also stood during the ICC CWC 2007 and has umpired all three ICC WT20 events. Daryl John Harperis an Australian test cricket match umpire. He was born on 23 October 1951 in Adelaide, South Australia. 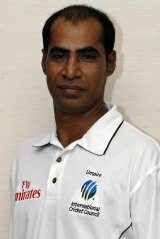 He was part of the ICC Emirates Elite Panel when it was created in April 2002. He umpired the first game of the ICC CWC 2003. 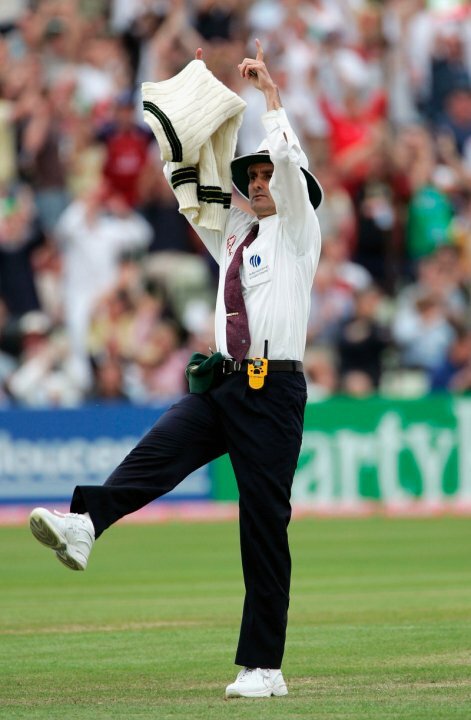 He also officiated in the ICC CWC 2003 semi-final. He also umpired eight matches at the ICC CWC 2007. He has set a new world mark by standing in his 50th Test venue as an umpire. 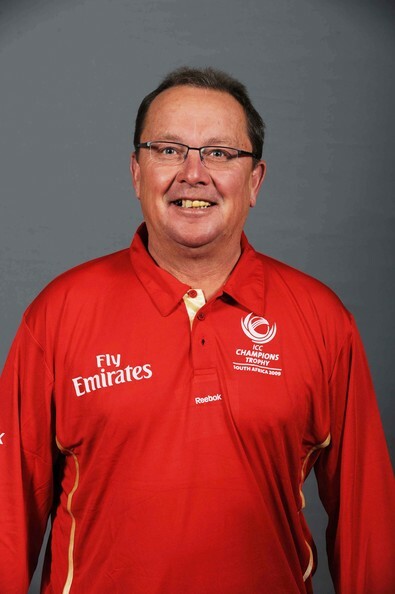 Before umpiring, he was a primary school teacher in South Australia for 23 years. 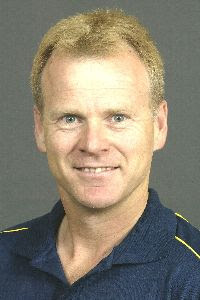 Stephen James Davis is a current Australian Test cricket match umpire, from South Australia. 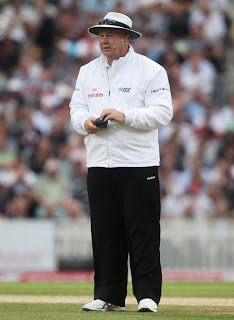 He was appointed to the Elite Panel of ICC Umpires in April 2008. He was born on 9 April 1952 in London, England. He made his ODI debut as an umpire in 1992. 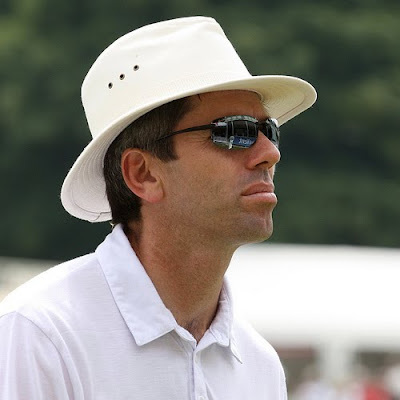 He has officiated at ICC CWC 2007, ICC U19 CWC 2006 and 2008, ICC World T20 2007 and ICC Women's World Cup 2009. Anthony Lloyd Hill commonly known as Tony Hill is an international cricket umpire from New Zealand. He was born on June 26, 1951, Auckland, New Zealand. He debuted as an umpire in 1998 in a ODI Match. 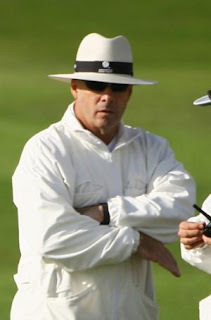 Hill was appointed to the Emirates Elite Panel of ICC Umpires in 2009. He has officiated in three matches at the ICC CWC 2007 and also at ICC WT20 in 2007. 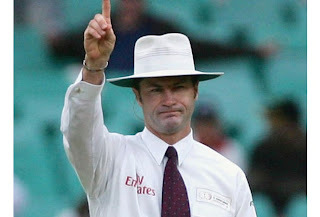 He, along with Billy Bowden, were the first neutral umpires from the same country to officiate in a Test match. 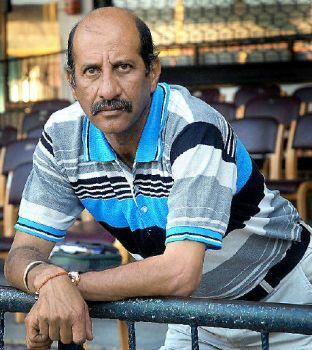 Ellawalakankanamge Asoka Ranjit De Silva is a Sri Lankan cricketer who played in 10 Tests and 28 ODIs from 1985 to 1992. He was born on March 28, 1956, Kalutara,Sri Lanka. He made his ODI umpiring debut in August 1999. He was one of eight full-time umpires selected for the ICC's Emirates Elite Panel. He umpired in the ICC CWC 2003/07, and the ICC U19 CWC in 2000/02/06. Ian James Gould is an ICC Elite Panel cricket umpire and a former English cricketer. He was born on 19 August 1957 in Taplow, Buckinghamshire, England. He umpired three matches of the ICC CWC 2007. Gould has played football as a goalkeeper for Slough Town and Arsenal. Marais Erasmus is a current South African cricket umpire from Cape Province and member of the ICC Elite Umpire Panel. He was born 27 February 1964 in George, Cape Province, South Africa. 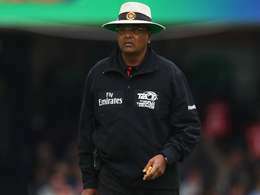 He served as an umpire in the ICC WT20 2009 and 2010. Rodney James Tucker is a cricket umpire and member of the ICC Elite Umpire Panel. He was born 28 August 1964, Auburn, Sydney, New South Wales. He made his ODI and T20I debut in 2009 in the series between Australia and South Africa played in Australia. He has also umpired at the ICC WT20 2009 and 2010.